With a passion for farming and a vision of where he wants to be, Mdu Mlangeni is proving that it’s never too late to achieve a dream. As Grain SA’s mentorship programme has contributed to his success, he now contributes to the livelihood of the community. Farming cattle and cash crops on the 262ha farm, Sunnyside, near Estcourt in KZN leased from the government, Mdu has gone from strength to strength. 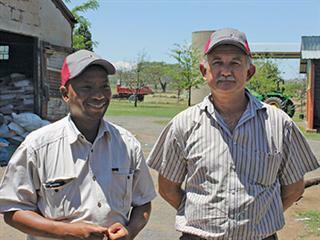 He is part of Grain SA’s (GSA) mentorship programme that helps emerging farmers get off the ground. This year, Mdu won the small commercial farmer category, for farmers who produce more than 250t of maize annually. “I’ve been blessed to have people help me along the way. This includes GSA and all my neighbouring farmers who are always ready to give me advice.” As part of the mentorship programme, participating farmers attend monthly classes in their local areas where they learn about all aspects of farming, including weed and pest control, planting methods, and fertilisation. 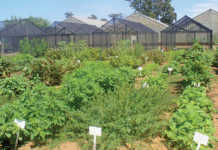 Mdu has a large vegetable patch for his farm workers. the cattle is sold to a nearby feedlot, while the sugar beans are also sold. 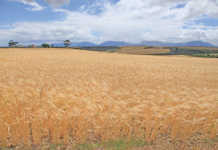 Sunnyside receives on average 950mm of rain annually. 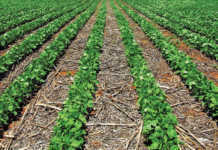 This gives Mdu an average maize yield of 7,18t/ ha and a sugar bean yield of 3,5t/ ha. The beans and maize are rotated. Asked about the impact of the increase in the minimum wage, Mdu stresses that he has no problem paying it. “The workers deserved it and it didn’t have such a bad effect on the farm either. These are my people and they must be happy at work. If they are happy and realise that their livelihoods depend on the farm, they will look after it because they have a vested interest in its success. If I look after my workers they will look after me,” he says. Farming is challenging at the best of times, but for an emerging farmer starting out, the obstacles are even greater. “Finance is a big challenge,” says Mdu. Government should involve GSA to a greater extent in its farming programmes because the organisation delivers, according to Mdu. Greater involvement from GSA would have resulted in more emerging farmers turning commercial by now, he says. Mdu currently leases land from government, but is hoping to buy some land soon. “I’m not comfortable with the way the department of agriculture handles land affairs and the leasing of farms, because extension officers don’t understand agriculture.” He says these officers think you start making a lot of money right away and want you to pay back loans immediately. Phone Mdu Mlangeni on 0823231916.